The goal was to produce the world’s first “crowdsourced” mobile device — one with functionality, hardware, and an aesthetic voted on by ZTE’s online community. After an extended brainstorming session involving 400 submissions from more than 176 countries, the company settled on a winner: the Hawkeye, an eye-tracking phone that adheres to the surface of tables, walls, and chairs. But to keep the phone affordable, the Hawkeye’s specifications had to be on the lower end, and this didn’t sit well with the backers who were expecting a flagship phone. 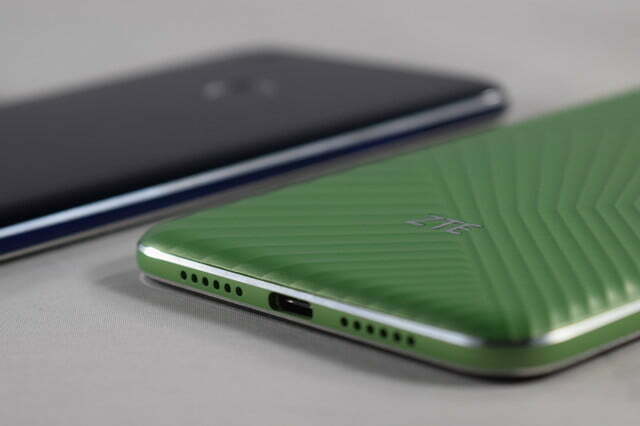 That’s why the Kickstarter has now been canceled, and ZTE is “reevaluating the device” while still looking to its Z-Community forum to listen for feedback. The company only reached $36,245 of its $500,000 goal. Hawkeye will have eye-tracking and self-adhesive capabilities, but more importantly it will have better specs, or that’s what ZTE is promising at least. Of course, now that ZTE is going back to the drawing board it cannot maintain its original product timeline. Those interested will have to look to the forums for these kinds of updates. Pledges by Kickstarter backers will be voided and refunded, and the company says any further updates will come from the Z-Community forum. What made the Hawkeye special? Everything. From the way it has been conceived and produced, to the way it was sold and promoted, ZTE’s Hawkeye phone broke away from conventional methods of making and selling smartphones. The Hawkeye beat out several other contending ideas in Project CSX. One was a stock Android flagship phone that would do away with the company’s third-party overlay. Another was a virtual reality diving mask that would let users swim anywhere while showing images that make them feel like they are in the ocean. But the winner is in some ways even more radical. It uses eye-tracking sensors to translate eye movements to software tasks, a self-adhesive backing that allows it to be mounted to a wall or flat surface, and split-screen technology that allows two users to view different content at the same time. If you’re wondering how ZTE settled on the name, it was put to a vote, just like most other aspects of the phone. However, the Hawkeye name wasn’t the top choice. There were apparently at least five other names ahead of it, but all had been snapped up as trademarks by other companies. 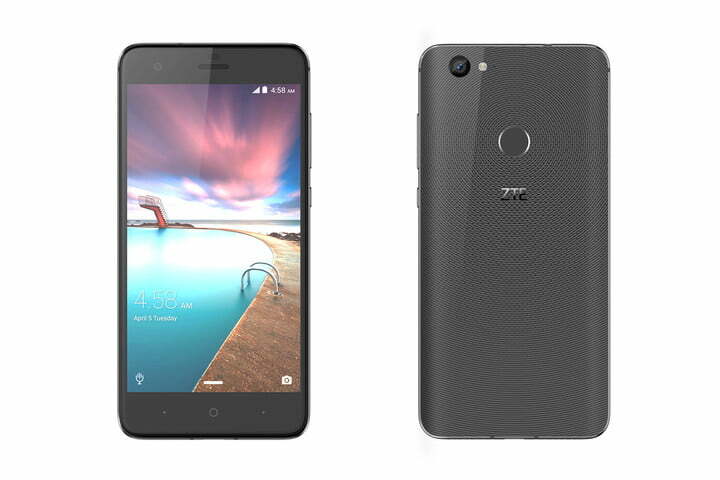 ZTE got lucky when it arrived at Hawkeye, given how well it matches the phone’s headline eye-tracking feature. The Hawkeye’s eye-tracking system, or ETS, comprises two laser-focusing cameras — one on the front and one on the bottom — that captures users’ pupil movement. This allows users to scroll up and down a PDF, book, or dense text file without tilting their heads, for instance, or rewind or fast-forward a video by glancing to the left or right. Its dual directional viewing screen, meanwhile — technology pioneered by Japanese display technology firm Sharp — lets two different types of content be displayed simultaneously. A user standing to the left of the Hawkeye can see a different image than one standing to the right, for instance. 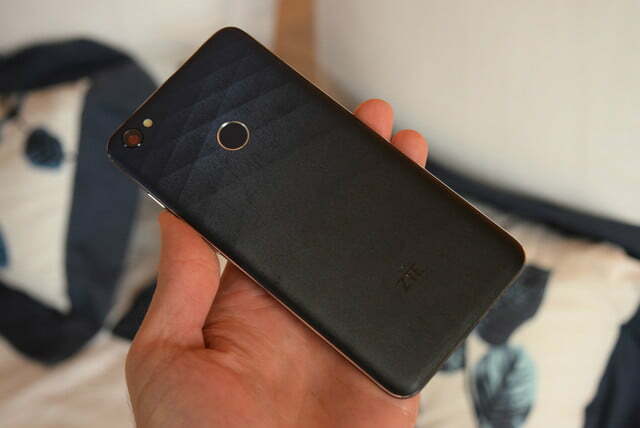 ZTE says it’s the first time the technology has been implemented in a smartphone. The self-adhesive backing — the result of two years of polymer research, ZTE says — consists of medical-grade silicon that provides an adequate adhesion strength that is “neither too strong to peel off […] nor too sticky to the hand.” It won’t be part of the phone though, and will be applied to a case for the phone. The Hawkeye’s initial hardware was respectable. On the front was a 5.5-inch LCD screen with a 1,920 x 1,080-pixel resolution. It featured eye-tracking cameras and sensors, as well as an ambient light sensor. Qualcomm’s Snapdragon 625 octa-core 2GHz processor powered the device with 3GB of RAM, 32GB of storage space, and a MicroSD card slot. The 3,000mAh battery is charged using USB Type-C with Quick Charge 2.0 technology. On the Hawkeye’s back was a dual-lens camera setup. One has 12 megapixels and the other 13-megapixels, and used together will produce the desirable bokeh blurred background effect. We were told to expect some kind of optical zoom feature, which may operate like the iPhone 7 Plus, and it has optical image stabilization onboard. 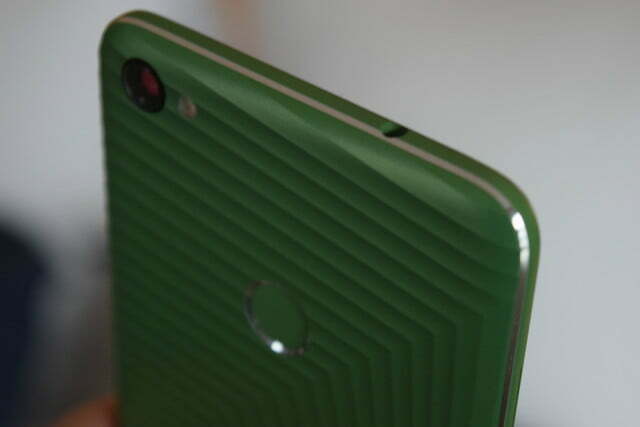 On the front is an 8-megapixel selfie camera. 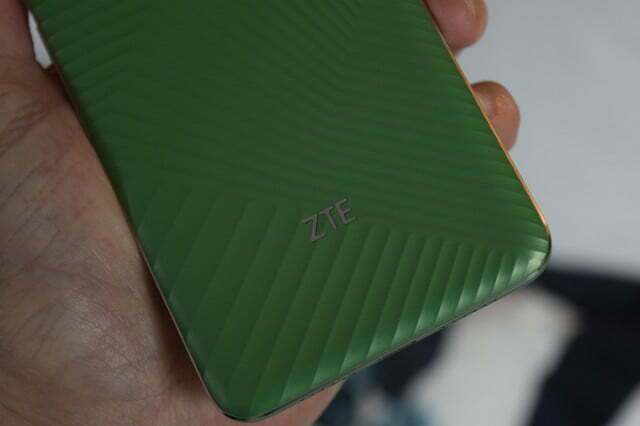 Other features include a fingerprint sensor on the back, ZTE’s continued emphasis on sound with a decent audio system, and NFC to enable Android Pay. Article originally published in January 2017. Updated on 02-17-2017 by Julian Chokkattu: Added in news that ZTE is canceling the Project CSX Kickstarter.